In this research, it is aimed to enhance the heat transfer properties of the carbon nanotubes through nitrogen doping. To this end, nitrogen-doped multiwall carbon nanotubes (N-CNTs) were synthesized via chemical vapor deposition method. For supplying carbon and nitrogen during the synthesis of N-CNTs, camphor and urea were used, respectively, at 1000 °C over Co–Mo/MgO nanocatalyst in a hydrogen atmosphere. N-CNTs with three different nitrogen loadings of 0.56, 0.98, and 1.38 mass% were synthesized, after which, water/N-CNT nanofluids of these three samples with concentrations of 0.1, 0.2, and 0.5 mass% were prepared. To obtain a stable nanofluid, N-CNTs were functionalized by nitric acid followed by stabilizing in water by employing the ultrasonic bath. Investigation on the stability of the samples showed a high stability level for the prepared water/N-CNT nanofluids in which the zeta potential of − 43.5 mV was obtained for the best sample. Also for studying the heat transfer properties, the thermal conductivity in the range of 0.1–0.5 mass% and convection heat transfer coefficients of nanofluids in the range of 0.1–0.5 mass%, and Reynolds number in the range of 4000–9000 were evaluated. 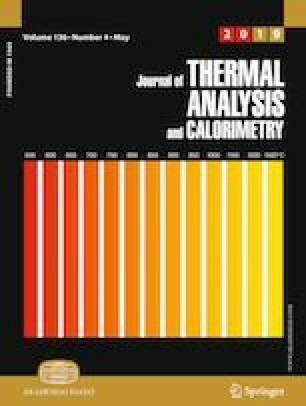 The results showed 32.7% enhancement of the convection heat transfer coefficients at Reynolds number of 8676 and 27% increase in the thermal conductivity at 0.5 mass% and 30 °C.